Every photo of me ends up on Facebook within 8 minutes of the event, so I had trouble finding something original for this challenge. 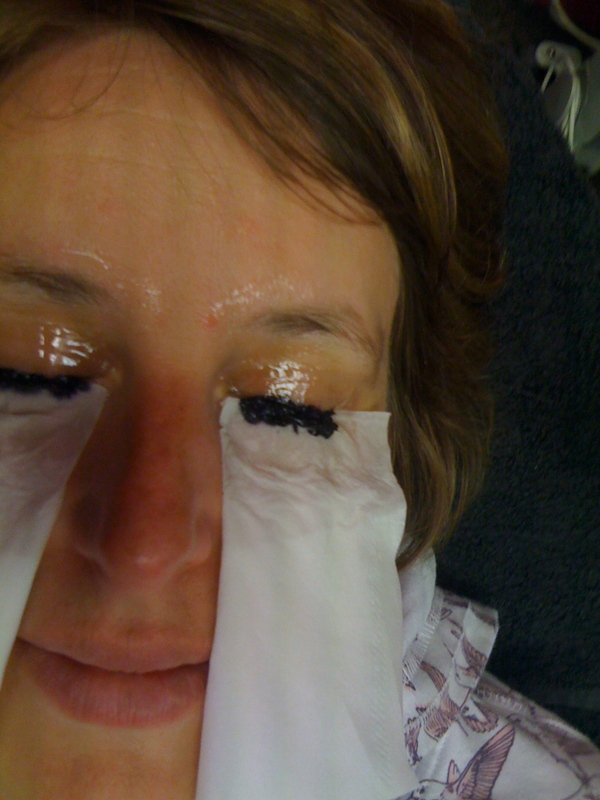 Here it is: me getting my eyelashes tinted. I took Bronwen with me, she was fascinated by the whole process (and took a million pictures).